The DME64N and DME24N employ Yamaha’s original DSP6 and DSP7 signal-processing LSIs for extraordinary audio processing power and quality. 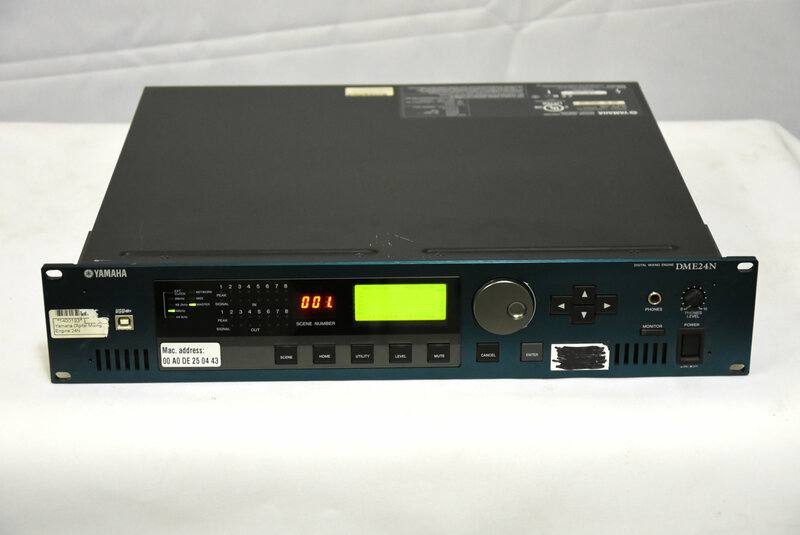 The DME64N offers processing power that is on a par with Yamaha’s DM1000 Digital Mixing Console, and the smaller DME24N has about half that processing capability while offering built-in analog I/O for simple, more compact systems. In either case you get a remarkable amount of processing capability that allows complex systems to be built around a single DME unit and fine tuned for optimum performance in concert halls, multi-purpose halls, event spaces, institutions, and a wide range of other applications. 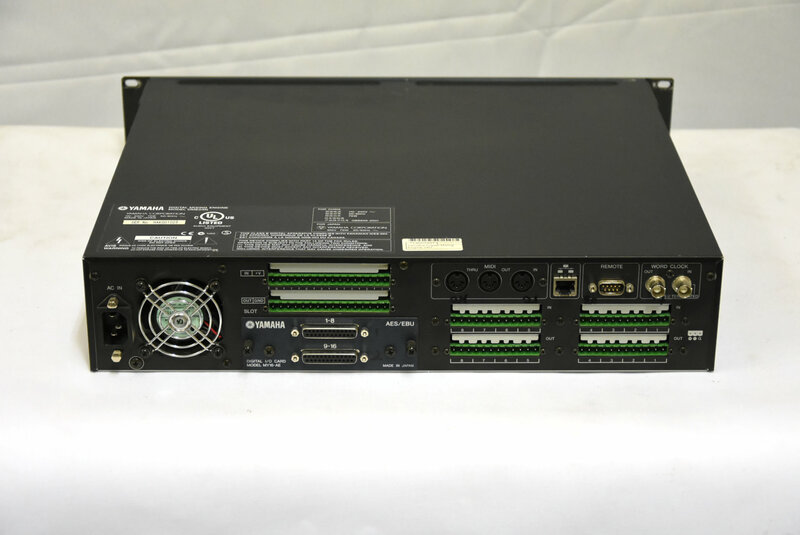 Plenty of DSP power also means that advanced configurations that previously required multiple hardware units can now run comfortably on just one DME64N or DME24N. All of this translates into significant time, energy, and cost savings for the design, installation, and operation of DME-based systems. It’s no secret that Yamaha digital mixing consoles are favored by leading professionals for live sound and studio recording applications. Yamaha DME mixing engines benefit from the same cutting-edge audio technology and attention to details that make a real difference in sound and performance. Both the DME64N and DME24N deliver faultless precision and reproduction fidelity with optimally-tuned 24-bit, 96-kHz digital processing, and the DME24N also features high-performance analog head amplifiers that equal the sound and quality of those found in top-line mixing consoles.Note: Configurations created for 48-kHz operation will require half the processing power of configurations created for 96-kHz operation. The DME64N has four rear-panel expansion slots that accommodate Mini-YGDAI I/O cards, and the DME24N has one expansion slot. Each slot supports up to 8 analog inputs or outputs when fitted with precision A/D or D/A cards, or up to 16 channels of digital I/O in AES/EBU, ADAT, or TASCAM format. With it’s four expansion slots the DME64N can support up to 64 channels of I/O, while the DME24N has a single slot plus 8 channels of built-in analog I/O for a total of 24 channels. For even larger systems up to eight DME64N units can be cascaded to provided a massive 512 digital inputs and 512 digital outputs, or 128 analog inputs and 128 analog outputs.